We want to be sure you’re happy about your Goose product. If your Goose order isn’t exactly what you expected, give our Help Team a shout. We’ll gladly replace any items you are unsatisfied with or that arrive damaged or defective within 30 days from your purchase. 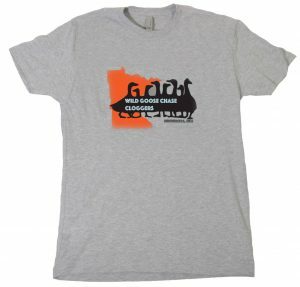 We’ll work with you to ensure that you’re happy with every Wild Goose Chase Cloggers purchase. Guaranteed.